So I've had my Thundercat for 10 years, it came from the USA and was bizarrely built in 2006. I'm currently in Lancashire and will soon be moving to Southern Portugal, I hope come back for the bike and ride it there. I know that everyone says how comfy they are but when you're 6 foot and middle aged they still get to your shoulders. Hi, welcome. They were sold in the US longer than in Europe. Neither of my two Thundercats were UK spec, the first was for the Benelux region and the second for Germany. Lets hope you can get the bike over to Portugal. Have you thought about bar raisers, that may help your shoulders a bit? I have thought about risers, my pal did it on an SV1000 with great success, but the truth is that I can't bring myself to do it to the Thundercat. If I stop every hour or so for a few minutes I can cope, plus unfortunately a lot of the trip will have to be motorways but the wind helps to take the weight off the shoulders. Once there I'll likely be riding a small off-road bike as the surrounding area has small very windy and very bad roads, and keep the Thundercat for longer trips. It's a bit hotter in Portugal than Yorkshire. Must be one of the newest cats here. 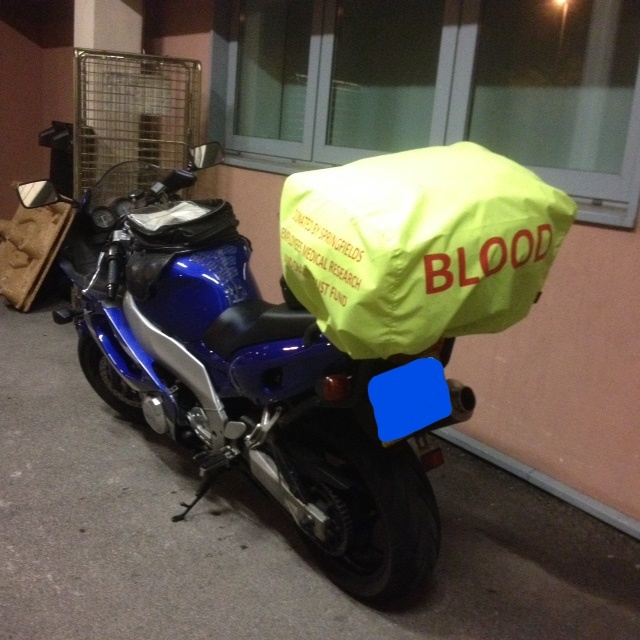 Apart from being one of the newest Thundercats I suspect that mine's the only serving Volunteer Blood Bike. OK so I'm showing off a bit now but it's a very worthy cause and well worth looking into. Hope it's OK to bring post this mods? Blood bike thundercat, i like it well done mate. Fantastic. Always thought bloodbikes were specific bikes liveried up with blues and twos but obviously not. On a very less serious note i might get one made up saying faecal matter. When the traffic says let this bag of shite though they will be doubly accurate. On a serious note how might one of our ranks go about being a blood bike/ biker? I can only speak for the group which I'm associated with which is North West Blood Bikes (NWBB), there are various groups around the country and I guess that they will all work in a similar way. Or simply Google volunteer blood bikes and find one suitable for your area, then find a contact link and send a general enquiry with a little bit about yourself, bike, experience. NWBB has some liveried bikes which can be used once you've proven that you are sensible and advanced licence is a must. It's also desirable to have advanced even if you use your own bike, but that again is something which is very beneficial, even if like me you'd been riding for years, you still learn some good tips which may help to save your life, particularly if you never had lessons at all years ago like me and don't realise how dangerous it is to use the front brake all the time at slow speeds and coming to a stop ( at least I'm honest:)). I did my advanced with South Lancs Advanced Motorcyclists https://www.slambikers.co.uk/ a really nice bunch of chaps. 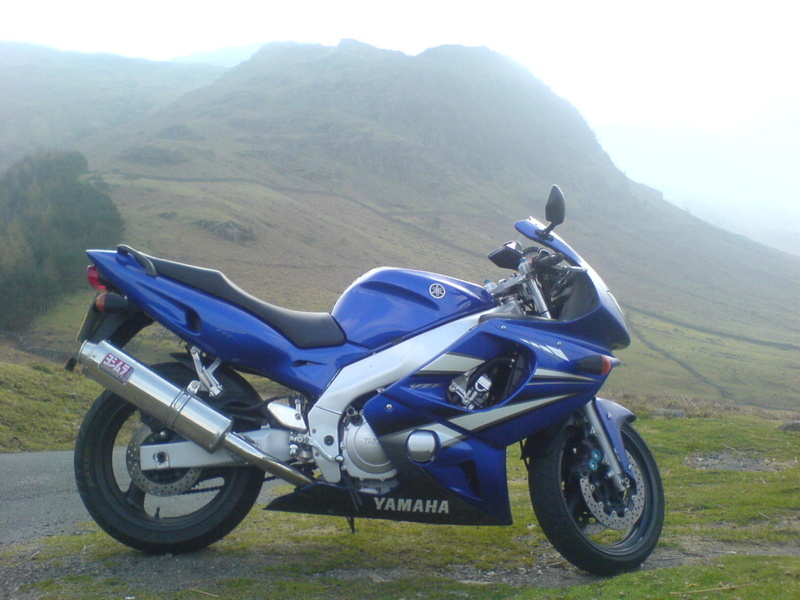 You need a clean licence, 3 points may be acceptable, a descent top box and obviously good waterproof gear. You'll have an assessment ride which is just to prove that you're competent and don't ride like a lunatic and they like you to do 2 shifts per month. Weekday shifts are 7pm to 2am and weekends are 12 hours i.e. 7am to 7pm and 7 pm to 7 am, but it's rarely non stop so you can get your head down for an hour or 2 here and there so it's not as bad as it sounds. On the whole it saves the NHS millions and its very rewarding to do. If anyone wants to ask me anything then please feel free. I appreciate you asking this Rosco and giving me the opportunity to post this. @MichaelS wrote: I appreciate you asking this Rosco and giving me the opportunity to post this. Very interesting, and thanks for posting. You're our 2nd Blood-Biker(to my knowledge). Lonterra also does his stint with a fully liveried blues n twos blood-bike. He's up north-northwest ish. Could you perhaps both be members of the same group but not crossed paths yet ? It's very possible, there are tonnes of members but I only personally know 1 or 3. I could use the liveried bikes but as I'm sure you can understand, I just like riding my thundercat. @MichaelS wrote: I just like riding my thundercat.